equality, jobs and freedom from repression. In the grip of the Great Depression labor lawyer Maurice Sugar invited friends to dinner. The fare was venison, a buck. Each of the 15 or so labor activists and political progressives contributed half a buck to a fund for jobless workers. So the ‘Buck Dinner’ began. Though contributions were small at first, a pattern was established to encourage and support the struggles for justice, equality, jobs and freedom from repression. Sugar devoted his life to applying his abilities and legal skills to fight for labor’s right to organize and to strike; civil liberties and civil rights; and legal protections for the poor, the hungry and the dispossessed. With Buck Dinner support, Ernie Goodman and teams of like-minded lawyers represented many who were charged with ‘conspiracy’ and ‘un-American activities.’ Through the years, they defended worker rights and participated in labor struggles. They fought facism, Nazism, the Witch Hunts and HUAC during the Cold War. They sat with the Civil Rights movement, draft and Vietnam War resisters, builders of women’s struggle for equality, opponents of nuclear weapons, and challenges to U.S. invasions of Central America and Iraq. You get the picture. Recently ongoing issues such as foreclosure, eviction, access to water and health care, marriage equality, forced ‘Emergency Managers’ and illegitimate privatization have taken a seat for Buck Dinner Support. We are in for the struggle. There were times when society at large thought the Bill of Rights was a communist manifesto; and times when it was scary to attend the Buck Dinner, as FBI agents took down license plates and filed notes on the ‘activities’ of participants. — Martin Luther King, when given a grant from the Buck Dinner. The history of Buck Dinner grants, to a large extent, mirrors the political causes and trends of the times. While the Buck Dinner has always emphasized protection of the Constitution and supported many a legal battle, headhunters recognize the importance of grassroots efforts to educate the public and our legislators — to bring attention to injustice, inequality, and threats to peace and civil liberties. A portion of funds is set aside for grassroots organizations that may not (yet) be involved in legal struggles. The Buck Dinner is unique. In all the world, there is nothing else like it. Over 30 Headhunters invite some 800 guests to the dinner. It is invigorating to be in the room with so many Detroit-area people who are active in social justice. Everyone feels ‘at home’ with friends. The entertainment is superb, and it is always great to catch up with like-minded folks one might not see in daily life. Headhunters commit to raising funds. A headhunter presides over a table of people he or she invites to the Buck Dinner. The amount of money available for grants depends on the amount headhunters and guests contribute. In 2015 we distributed over we distributed $67,000 in grants to 37 organizations. 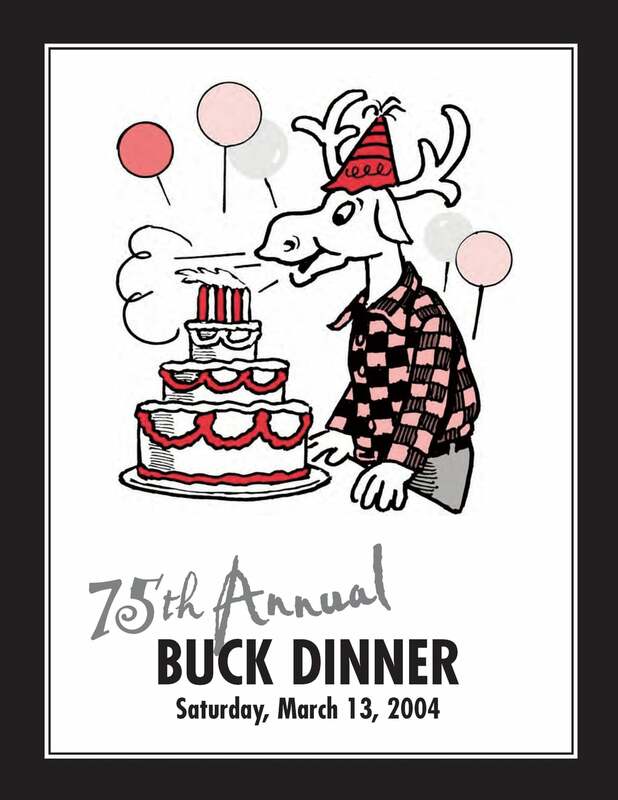 Read more about the Buck Dinner. Back in 1960 and earlier, the Buck Dinner was known as the "Wild Game Banquet" or "Annual Venison Dinner." About 128 people attended. The Buck Dinner has grown. In 2015, the Buck Dinner distributed $67,000 in grants to 37 organizations. The 2015 Buck Dinner had some 800 attendees. Funds from the Buck Dinner are granted to three major recipients – The ACLU, National Lawyers Guild and Sugar Law Center for Economic and Social Justice. They have all been involved in many major legal issues in Michigan, including repealing the Emergency Manager laws, and working to represent the rights of citizens effected by the Flint water crisis.